A whole food, plant-based diet is the most sustainable and long-term health approach for humans. 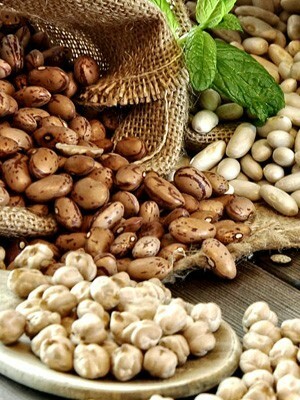 It includes a wide variety of plant foods in their whole, unprocessed form, such as vegetables, fruits, beans, lentils, nuts, seeds, whole grains, and small amounts of healthy fats. It does not include animal products, such as meat, poultry, fish, dairy, and eggs. It also does not include processed foods, oils, or sugars. The naked approach adds the fact that food should be eaten from an organic, non-toxic, non-GMO source and free of synthesized pesticides, fungicides, herbicides, fertilizers, colorants, and other elements. Naked refers to the state of untainted, untampered foods. Adhering to just a few simple healthy lifestyle factors can have a strong impact on the prevention of chronic diseases: not smoking, not being overweight, exercising 30 minutes a day, and eating more healthfully (more fruits, vegetables, whole grains, legumes, tubers, and avoiding processed foods, dairy, and meats). These simple things cut our risk of developing a chronic disease by 78%, as well as 95% for diabetes risk, and 80% for heart attack risk4. They may also cut our risk of stroke by one-half and cut cancer risk by one-third. As it stands now, each year a million Americans experience their first heart attack or stroke, a million develop diabetes, and another million get diagnosed with cancer. The doctor of the future would give no medicine. Instead, he would instruct his patient in the care of the human frame in diet, and in the cause and prevention of disease. The New 5 Food Groups. 4 or more servings a day. 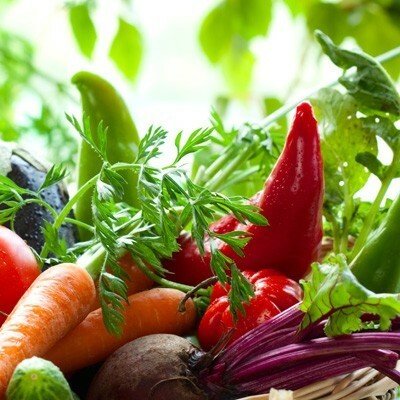 Vegetables provide vitamin C, beta-carotene, riboflavin, iron, calcium, fiber, and other nutrients. Dark green leafy vegetables are especially good sources of these important nutrients. Dark yellow and orange vegetables such as carrots, winter squash, sweet potatoes, and pumpkin provide extra beta-carotene. Include generous portions of a variety of these vegetables. 5 or more servings a day. This group includes whole grain or sprouted bread, brown rice, oats, corn, millet, and buckwheat. It also includes whole grain plant-based products such as tortillas or pasta. Build each meal around a hearty grain dish. 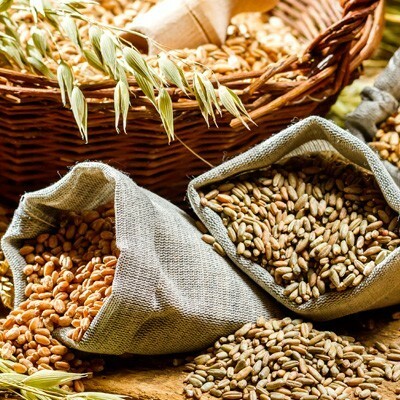 Whole grains are rich in fiber and other complex carbohydrates, as well as protein, B vitamins, and zinc. 3 or more servings a day. Fruits are rich in fiber, vitamin C, and beta-carotene. Include at least one serving each day of fruits that are high in vitamin C such as citrus fruits, melons, and strawberries. 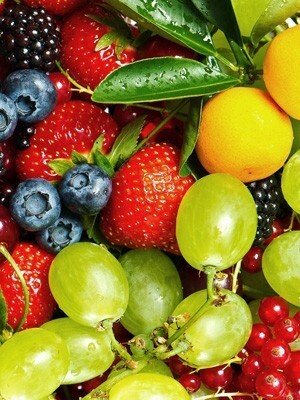 Choose whole fruit over fruit juices, which do not contain very much fiber. 2 or more servings a day. Legumes, which is another name for beans, peas, and lentils, are all good sources of fiber, protein, iron, calcium, zinc, and B vitamins. This group also includes chickpeas, baked beans, and non-GMO soy products such as soy milk and tofu. Nuts and seeds contain vitamins and minerals like Vitamins E and A, folic acid, calcium, magnesium, copper, phosphorus, potassium, manganese, B vitamins, protein, niacin, fiber, selenium, and zinc. They help lower cholesterol and maintain appropriate ratios of omega fatty acids. Include a good source of vitamin B12, such as fortified cereal or an organic, vegan and plant-based supplement. The recommended dosage of Vitamin B12 is 250mcg daily, or 2,500 mcg (µg) of cyanocobalamin once per week, ideally as a chewable, sublingual, or a liquid supplement. Choose unprocessed, whole foods instead of processed foods as often as possible. 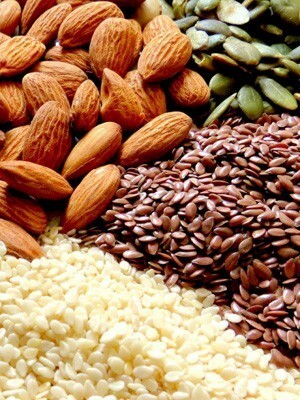 For weight loss, choose the lower number of servings of nuts, seeds, starchy vegetables, and whole grains. Choose beans more often than vegetarian patties or links. Choose whole grains (barley, quinoa, or brown rice) and sprouted bread more often than processed grains (chips or pasta). Choose fats from whole foods (avocado, nuts, or olives) instead of processed oils (coconut, olive or canola oil). If you have heart disease, high cholesterol, or high blood pressure avoid or limit nuts, seeds, and other fats. Get at least 25 minutes of sunlight daily as often as possible. Get at least 25 minutes of exercise or physical activity daily. Build a strong and positive support system around you. >> What Foods Should Be Avoided? >> Are Organic, Grass-fed, Animal Foods Healthy? >> Does Plant-based Mean Vegetarian? Vegan? Raw? >> Does Plant-based Mean “Salads” Only? Ward BW, Schiller JS, Goodman RA. Multiple chronic conditions among US adults: a 2012 update. Prev Chronic Dis. 2014;11:130389. DOI: http://dx.doi.org/10.5888/pcd11.130389. Centers for Disease Control and Prevention. Death and Mortality. NCHS FastStats Web site. http://www.cdc.gov/nchs/fastats/deaths.htm. Accessed December 20, 2013. Centers for Disease Control and Prevention. NCHS Data on Obesity. NCHS Fact Sheet Web site. http://www.cdc.gov/nchs/data/factsheets/factsheet_obesity.htm. Accessed December 20, 2013. ES Ford, MM Bergmann, J. Kröger, A. Schienkiewitz, C. Weikert, and H. Boeing. “Healthy Living Is the Best Revenge: Findings from the European Prospective Investigation Into Cancer and Nutrition-Potsdam Study.” US National Library of Medicine National Institutes of Health (2009): n. pag. National Center for Biotechnology Information. U.S. National Library of Medicine.